Hello again Addicts! Summer is around the corner and summer for me is rockin' my fave trend, "boho". It only takes one epic beach outing, or music fest anywhere, or with bonfire, and your boho babes dance around with fringe, ethnic prints, chiffon, short shorts, flowy tops, crochet and a lot more. I am pretty sure a lot of you have an idea of what it means to dress boho and some of you are rocking it already. Boho dress is the best Summer dress for me. A huge trend that is very hard to let go. By the way this shop is amazing. They offer amazing selection of summer boho items, accessories, wedding and occasion party outfits and accessories, and many more. A reliable and safe online purchasing platform for customers all over the world. You will definitely be surprised by their various kinds of selections on massive styles of dresses. If you love boho, you will have a great time scrolling this article up to the end. For the best summer boho style for 2016 follow 27dress.com Sample items below and these are my top picks from their shop. You can start shopping by clicking the photos below. Please don't forget to comment your fave boho look. Be summer ready with the latest fashionmia selections. From crochet to chiffon, floral prints to aztec, You have the best to choose from. Cheap dresses that looks classy in an amazing price. Summer is all about florals and prints, chiffon and lace and everything carefree. I just love wearing pieces that is so comfy and on the go. Nothing really beats summer heat with the best fashion clothing. If you are looking for the best, there's a lot of selection from this site that provides cheap clothes for women. It's not about the price, it's about how you wear those cheap thrills this summer and be sophisticated, classy and stylish. By the way, all photos are from fashionMia. The amazing online stop for Modern, Irresistible, and Affordable women’s clothing. Providing customers the selection of apparel, accessories, and outerwear are always on trend and always available at the web’s best prices. Fashion MIA is dedicated to delivering high-quality clothing to women that will make them look and feel their best. They believe every woman has the right to dress well, and shouldn’t have to spend a lot to love how she looks. They make it easy to wear outfits you love every day, giving you the confidence to take on the world! Hi addicts! Today, Let's check out the best shop to follow online for classy items. Yeah, I personally love their selection of classy and vintage items. It's all about taking classy fashion to a whole new approach - adding edge and originality, Playing with basic colors and prints. You don't have to be well dressed or have a lot of money to look and be classy. Class is what comes from the inside, feel it and achieve it. Show off your classy side by achieving ootd goals wearing florals this summer. Being classy is all about style, sophistication, elegance, polished etiquette, grace and manners. 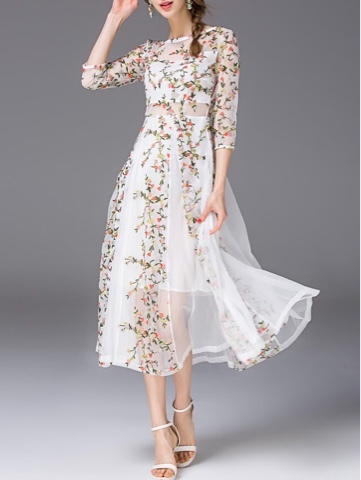 https://www.stylewe.com/buy/floral-print-dresses.html click the link on new arrivals, special offers and other discount information. Introducing, StyleWe. This is an online fashion shopping platform featuring independent fashion designers. Update your closet now for stylewe modern and classy items 'cause they provide shoppers with original, high quality, and exclusive fashion products from independent designers. By working with cutting edge independent fashion designers from around the world, and combining them with their high quality production and digital marketing capabilities, they will turn the fashion designers’ dreams into reality by providing high fashion to customers worldwide. Click the photos below to start shopping!